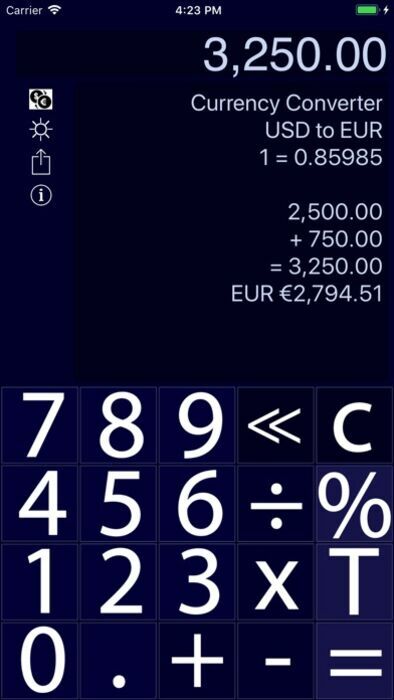 Nice Calc is a Universal application for iPhone, iPod touch and iPad that lets you see in detail the percentage or tax calculated for a specific amount. 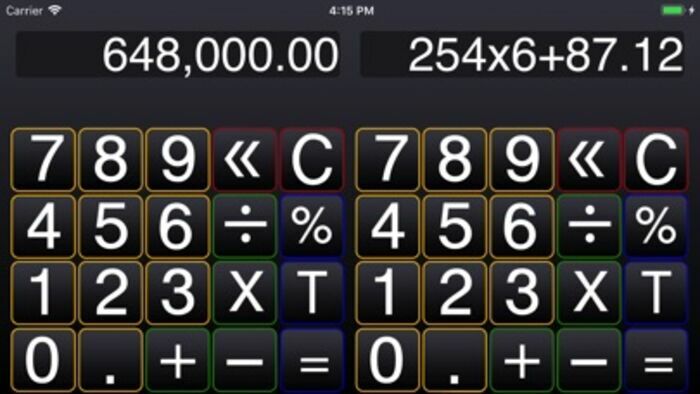 The T key is programmed by you, after entering any number just touch the T and on the screen the gross amount, the estimated percentage and total will be displayed with just one touch. 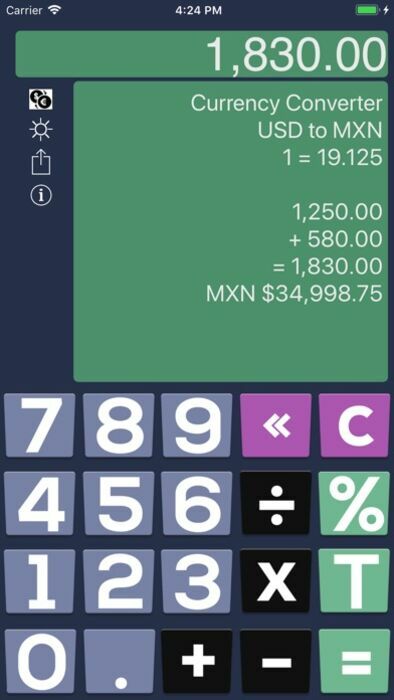 If a price already has the tax included just enter the number and touch the ÷ and T keys, the gross amount will be displayed in detail. 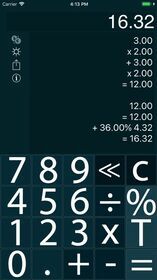 You can change the look of Nice Calc with the different skins included. 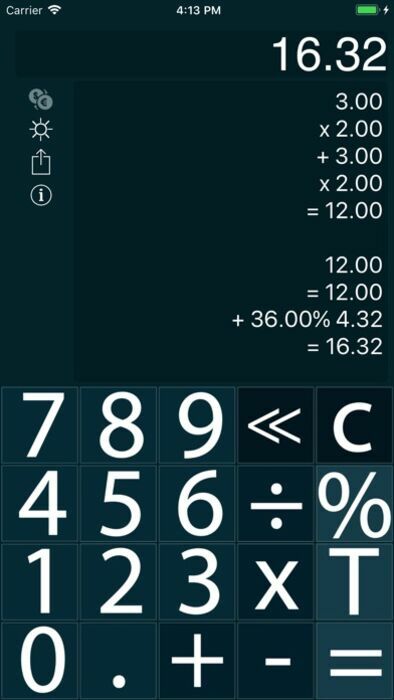 Now you can select the In-App purchase to get a second calculator swiping left or right, in landscape mode you get twin calculators in both; iPad and iPhone, exchange results between them. You aldo get a currency converter supporting 32 currencies and more skins. 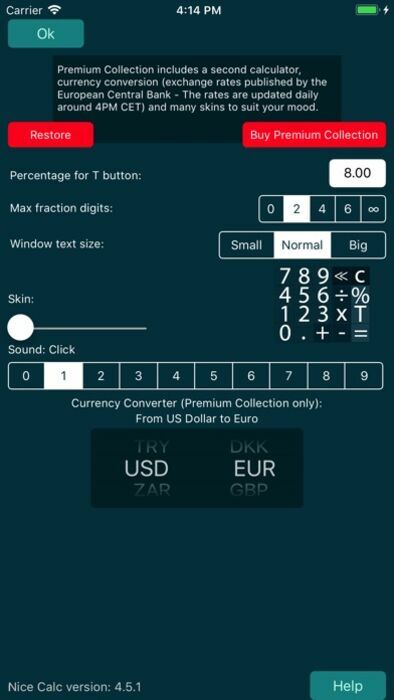 - Option fot the In-App purchase to get the currency converter, a second calculator and more skins. - Share the results by email, iMessage, WhatsApp, etc.